George is a Director in Nexia Edwards Marshall’s Forensic Accounting division. George provides valuation, corporate advisory and litigation support services. He specialises in commercial business valuations, financial modelling, economic loss assessments and insolvency. 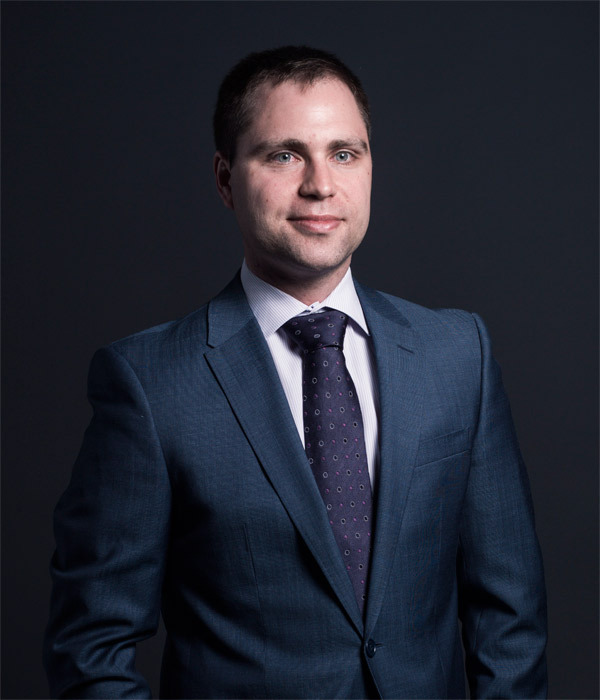 George also helps clients wind up their solvent companies, with an emphasis on speed, efficiency and maximising distributions to shareholders tax-effectively. George has managed both commercial valuations, such as share sales and mergers and acquisitions, and valuations for litigious purposes, such as shareholder disputes and matrimonial property settlements. In assisting the firm’s partners provide independent accounting evidence for litigation, George has worked on a number of large and complex cases in various jurisdictions and courts around Australia. A Bachelor of Commerce (Corporate Finance) and Bachelor of Economics graduate from the University of Adelaide, George is a Chartered Accountant, an accredited Business Valuation Specialist and a subscriber to the Forensic Accounting Special Interest Group of Chartered Accountants Australia and New Zealand. The work George produces combines technical skills and problem solving with concise practical advice and a commercial mindset. Value, on an annual basis, a large national engineering and land surveying consulting business pursuant to its shareholders’ agreement. George manages the annual valuation, which includes meeting with management, reviewing the business’ earnings and budgeted performance and normalising its working capital and net debt. George also undertakes research on the industry and comparable listed companies and the calculation of the business’ weighted average cost of capital. He is responsible for assisting in the preparation of the valuation report and executive summary for shareholders and a presentation to the company’s board. George also assists in the provision of merger and acquisition advice to the client from time to time. Value the equity interest of a foreign resident taxpayer in a large privately owned company in the North American public-private partnership infrastructure market for an application for a private ruling from the Australian Taxation Office. George managed the valuation, which included the review of the company’s business model, legal structure and management cash flow forecast. He then conducted an analysis of the industry and comparable listed companies, calculated the company’s cost of equity and assisted in the production of a report for the taxpayer’s lawyer to be provided to the ATO. Advise the Western Australian agent of a multinational food franchisor on contract extension negotiations and their financial implications. George reviewed the draft contract and provided advice on its financial implications, including the calculation of the agent’s remuneration (royalty share) and franchise development penalties. He then prepared a cash flow forecast and scenario analysis to assist the agent in budgeting and strategic planning. The contract was executed by the agent and George has continued to provide ongoing advice and assistance in tracking performance against the forecast he prepared. Calculate the economic loss suffered by a leading business in the SA maritime construction industry as result of damage to its largest item of plant. George reviewed a settlement offer from the insurer and then assisted in preparing a responding report that the parties relied upon in reaching a settlement. His work included reviewing the company’s statement of claim, business model and financial statements and the interrogation of its underlying accounting records and allocation of variable costs. Calculate the economic loss (capital and income) suffered by a large interstate managed investment scheme as a result of negligent property valuations. George helped prepare a report for the Federal Court and advised the scheme’s lawyers before a mediation that resulted in a settlement. His work included reviewing the scheme’s business model, constitution, financial and product disclosure statements, lending criteria and loan to valuation ratios, loan portfolio performance pre- and post-GFC and member contribution and redemption trends. He then assisted in formulating the loss and quantifying the appropriate risk discount factors. Wind up a solvent group of family companies, formerly a leading national manufacturer of sunscreen and pharmaceutical products. George managed the liquidation process, including the destruction of the group’s production samples and quality control records, the development of its pre- CGT real property, the distribution of its property, loans and surplus cash in specie to shareholders in a tax-effective manner and the deregistration of the companies by ASIC.